We would LOVE for you to share YOUR layout's with us! Just create a 600x600 px jpg layout and email it to Cole npeak@storyrock.com subject line D.Y.L Layout! With your permission, I will post it to the MyMemories BLOG DYL Series (right here), Instagram, Pinterest & Twitter. Along with yourlayout, please do include the question/prompt number and the name of the My Memories designer(s) and the name of their product(s) you used. If you would like to post it directly to our MyMemories Facebook wall please click HERE. You can also post your layouts in the MyMemories Forum HERE. Grandparents are a special part of most children’s lives. You may not have had an intimate relationship with your grandparents but even so, they provided a foundation for your experiences in the manner that they raised your parents. 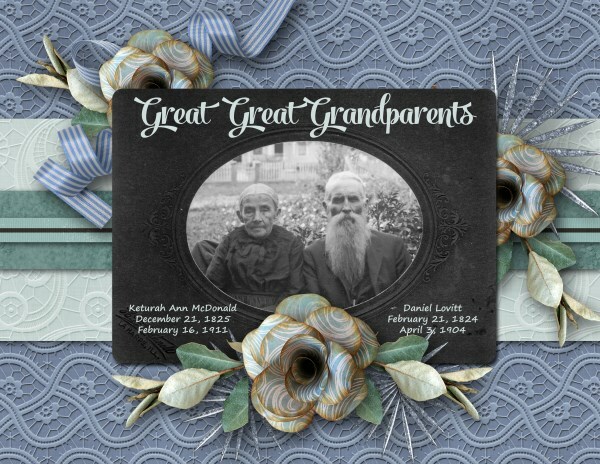 This week, we are going to focus on your maternal grandparents. First the basic facts: what are the full names, birth dates, birth locations, marriage date and location of your mother’s parents? Where did your mother fit in the birth order of her family? List your mother’s siblings and all the basic facts about them. This is no small task, to create all these lists with dates and places, but it is important. AND from your mother’s perspective…what stories/comments did she share about her parents? 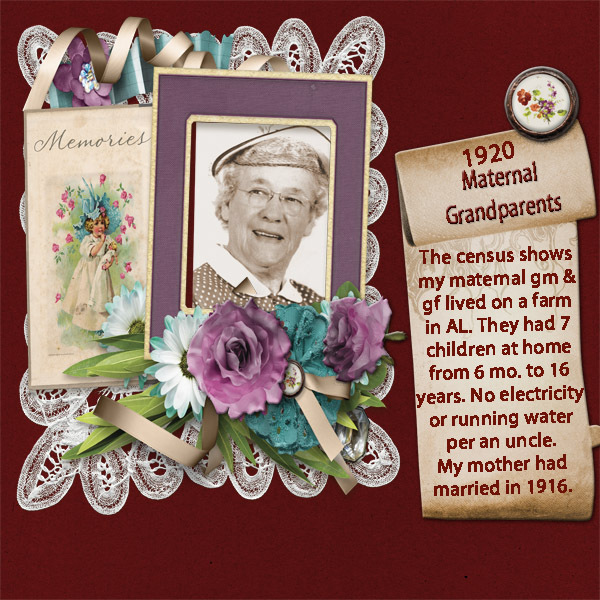 This layout of another digi friend uses several different of my kits in combination in her layout of her maternal grandmother. I love her journaling and relaying the conditions of daily life for her grandmother. Let me know how you are doing and if you have any questions. I love to read your thoughts about this series. Just comment below.